Did you know? The Salvation Army is the largest provider of Social Care in the UK, outside the government offering care for the whole person; body, mind and spirit – in practically every community in Britain. 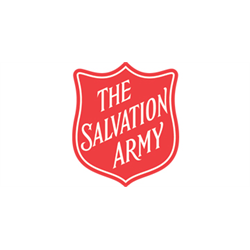 One of the UK’s most inspiring and best known faith-based organisations, the Salvation Army is looking for a passionate and dynamic Programme Coordinator to join its team and work at The Pleasance, their lifehouse in Edinburgh. The Pleasance provides rapid access accommodation for up to 42 vulnerable rough sleepers and our aim is to ensure that the first step out of street living is positive, enabling a smooth transition into suitable temporary accommodation. The role of Programme Coordinator is central to achieving positive outcomes for our vulnerable clients and has operational responsibility for service delivery within specific areas of responsibility. You will ensure the programme contributes to the overall service by achieving both internal and contractual Key Performance Indicators and working with the Service Manager and Support Staff to ensure services are high quality and cost effective. You will also ensure the programme you coordinate maximises client input and emphasises choice and control in all areas of service delivery. You’ll need significant experience of leading and managing staff including recruitment, development and performance management. With proven experience of working with vulnerable adults in a supportive setting, you will have NVQ Level 4 (or equivalent) or a willingness to work towards this, and knowledge of legislation relating to homelessness, employment, health and safety and safeguarding. Benefits: 25 days annual leave and bank holidays (Pro rata for part-time); a contributory pension scheme; season ticket loan; an employee assistance programme. We are looking for a Welcome Worker for our Lifehouse in Edinburgh. The Pleasance is a 38 bed, temporary supported accommodation service for homeless men and women. Based at The Pleasance in Edinburgh, the Welcome Worker is the first point of contact for residents and visitors. This key role sets the welcoming tone and atmosphere for the Lifehouse and is involved in all aspects of supporting homeless people to move on to new lives. The Position is formally called Concierge, but this job title underplays the vital function this role fulfils in the service. The accommodation is breakfast only. You will offer front of house services to clients ensuring they are signed in or out where required and their queries are handled in a professional manner, referring them to support staff where required. · Carry out some cleaning and laundry duties. Appointment subject to satisfactory references, proof of right to work in the UK and a satisfactory Disclosure check. We are looking for a Support Worker to join our team supporting homeless and vulnerable adults in Edinburgh at our accommodation, visiting support and drop-in services. Successful candidate will provide Housing Support to prevent homelessness or to support individuals who are homeless to resettle into long term accommodation. The role of Support Worker with The Salvation Army is an inspirational one and key to achieving successful outcomes for our vulnerable clients. As a motivated and dynamic Support Worker you will be responsible for developing and delivering a high quality programme of support which promotes client choice and control. You will address client support needs, enable them to achieve positive life changes and ultimately empower them to lead more sustainable lifestyles. Appointment subject to satisfactory references, proof of right to work in the UK and a satisfactory PVG Scheme disclosure check. Please note that you will be required to pay either for a new PVG Scheme Membership application (£59.00) or for the Scheme Record Update fee (£18.00) if you are already a member of the PVG Scheme.